Eleanor Jones smiled a bit when contemplating treasured memories of experiences with two unique and inspirational all-female bands during and shortly after World War II. The humble 95-year-old Eau Claire woman, quick to encourage others to seek and enjoy adventure, traces her historical musical encounters to a decision to retrieve a letter out of the trash. Jones, a native of Cornell, initially discounted a letter from the U.S. Naval Department to audition for the Marine Corps Women’s Reserve Band that was organized in November 1943. “I threw it away, thinking, what does the Navy want with me? But I later got it out of the wastepaper basket,” Jones said. “It was asking if I wanted to be part of an all-woman Marine band. “Retrieving and reading that letter changed my life,” Jones emphasized. 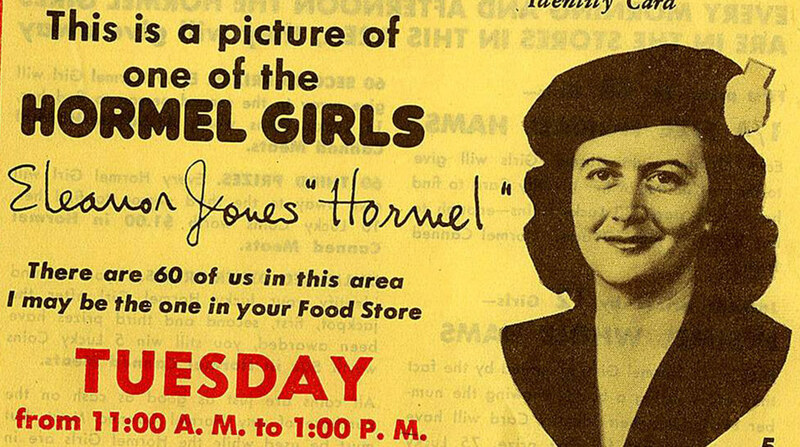 “Looking back, those two episodes, the Marine band and Hormel (Girls) caravan were so different but were two of the very most important, memorable periods in my entire life. Eighty Days of Spam begins with — Spam. Lots of Spam Hormel Food Corp. kicked off its 80th anniversary of the creation Spam on Friday by giving a can of the now-famous meat to each of its employees.